Corporate Cost Reduction (CCR®) is a national Procurement Services/Cost Reduction firm formed in 1993. 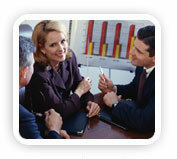 We consist of purchasing, outsourcing and supply chain management professionals. Our cost reduction consultants assist companies by helping them purchase goods and services more effectively. These procurement services specialists do not sell products, but make recommendations and negotiate on our clients' behalf. In addition to our core competencies, CCR partners with a select group of expense category specialists. This insures that our clients receive a thorough review of all applicable expense categories. As a result, our clients have reduced costs on a long term basis with no out of pocket outlay. All services are performed on a contingency or gain share basis, meaning fees are based on actual savings generated from our cost reduction strategies. In today's competitive environment, cost containment and reducing overhead are as important as increasing sales. Our expense reduction consulting services provide practical, long term solutions that reduce the outlay for regularly purchased goods and services for which many businesses unknowingly overpay. Even small and mid-size firms can be wasting significant amounts of money on indirect and consumable expenses. Any one of these categories may seem insignificant individually, but when combined, they quickly add up to thousands of dollars. CCR’s supply chain management consulting experts do not suggest cutting employees. Instead, we show your people or purchasing department how to cut expenses through outsourcing solutions and other cost reduction techniques, while always receiving the same or better quality goods and services at a reduced price. We begin by targeting those categories specific to your business that exhibit the greatest potential for savings. After reviewing the purchasing records and determining your needs, our expense reduction analysts begin a three-phase, 7-step process called “CCR’s Road Map to Cost Savings.” This process enables us to systematically generate significant percentage savings in most expense categories that we review. The end result is that we benchmark your current situation and demonstrate how you can consolidate your suppliers and use strategic sourcing to reduce costs on a long term basis. We quantify these options and make written recommendations. After you approve our recommendations, we then assist in the implementation of the programs. CCR works on a "Pay for Performance" basis. There is absolutely no risk to you, because no fee is charged unless your company saves money as a direct result of our efforts. When our recommendations are implemented, we share the savings with you over a specified period of time. After that, the savings are all yours. CCR does not sell any products or represent any suppliers. Our expense reduction analysts simply analyze costs, review processes, negotiate with suppliers and make recommendations which generate savings. Contact us today for a no obligation review of your expense categories.